Richard Ikeda competed nationally and internationally in gymnastics from 1990 until 2003. 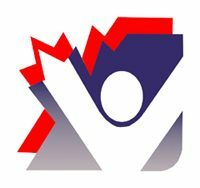 Ikeda was a four-time all-around gold medalist at the Canadian championships (1996, 2001, 2002 and 2003), and added three all-around bronze medals (1993, 1995, 1999) and one silver (2000). In 2003, Richard added gold on the high bar and silver on the parallel bars. During his career, Ikeda travelled far and wide to represent Canada. At the 1994 Commonwealth Games in Victoria, Richard was on the Canadian team which placed first. He also took home a silver on the high bar and bronze on the pommel horse and rings. 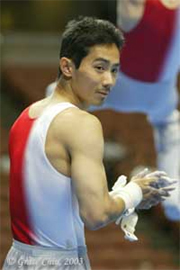 The Canadian team featuring Ikeda placed third at the 1998 Commonwealth Games in Kuala Lumpur and he personally won two silvers – in pommel horse and parallel bars. He completed his Commonwealth Games participation in 2002 in Manchester, where the Canadian team finished second. Ikeda competed and excelled at a myriad of other competitions across the globe, including the 1996 Atlanta Olympics, where he finished 63rd in the all-around. The culmination of Ikeda’s remarkable gymnastics career took place at his eighth World Championships in 2003, where Canada’s ninth-place finish ensured the team’s entry into the 2004 Athens Olympics. Richard Ikeda was the first of three members of his family to be inducted into the Abbotsford Sports Hall of Fame. Father Mits (builder) and Ken (athlete) have also been enshrined.